Ioannis Ntouskos (aka dousk) is an artist from Greece. 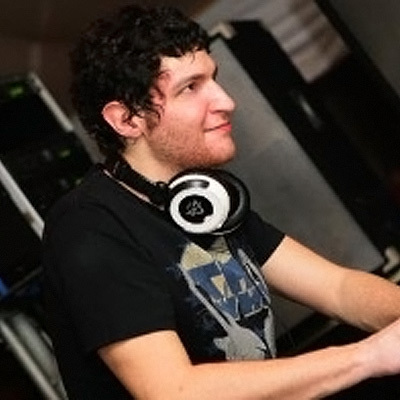 Born in Athens, he completed his classical music studies in 2000 which comprised of classical piano, jazz and electronic music production/engineering. His influences are mostly of electronic origin, whether in the form of 60's & 70's psychedelia & experimental electronic music, the late 70's disco,breakbeats, the 80's progressive rock/avant-garde scene and 90's Detroit and Italo-techno. As an avid tech enthusiast (ahemm..nerd! ), his past also includes compositions and contributions in computer games music & computer demo soundtracks. With 2 successful albums under his belt "D.I.Y" and "Kind Of Human" on Klik Records and a 3rd personal album on the way, having performed and toured in some of the best clubs in the world, Dousk is here to stay. Embracing variety in musical styles, the focus is on producing quality music, be it Progressive House, Tech House or Techno, or virtually anything else under different aliases. This has earned him a spot on the global dance scene and frequent appearances in dance music charts. Almost every world-reknowned DJ has spinned a Dousk track. His music is featured in all sorts of places such as TV & Radio ads, the MTV Music Awards and hit TV-shows CSI, My name is Earl and Doctor Who.